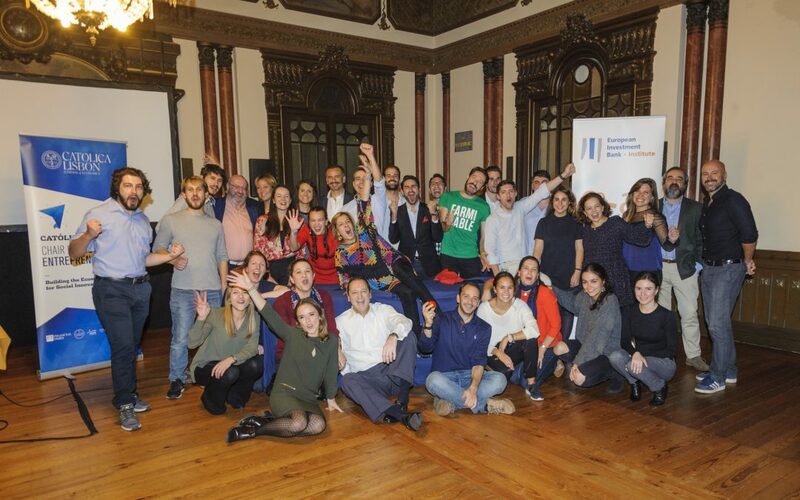 “Very practical, great insights and applicable techniques”, 11 high-impact ventures from seven European countries enjoyed the third SIT Impact Bootcamp (2018), organised jointly with Católica-Lisbon SBE on its Lisbon campus and at IRIS headquarters in Amarante, Portugal, from 27 October to 3 November. This year’s edition welcomed SIT finalists as well as Portuguese and Spanish entrepreneurs selected in cooperation with Bolsa Social, a Spanish equity crowdfunding platform. The one-week full-time executive course helps participants develop a scaling plan adapted to the needs of their initiatives, fine-tune their strategy of engagement with key stakeholders, develop their marketing and communication plans, prepare an investment case for financing the plans, and prepare to pitch their scaling plan to an audience of investors. “We know what we are going to do for the next steps and we have gained a really enriching experience from all the programmes presented! We are ready to go and be better,” said one of the participants. The programme was led by Professor Filipe Santos, Chaired Professor of Social Entrepreneurship at Católica-Lisbon SBE in Portugal and Visiting Professor of Social Entrepreneurship at INSEAD. All the programme faculties have extensive international experience in social entrepreneurship, both in academia and in practice. The SIT Impact Bootcamp is open to finalists from all editions of the Social Innovation Tournament, as well as selected social entrepreneurs, and is designed to help ideas that change the world mobilise resources and scale their impact. SIT Impact Bootcamp 2018: Highlights from EIB-Institute on Vimeo.